Robbins, Stanley L. Pathological Basis of Disease; third edition. W.B. Saunders, 1974; 1467 pp. 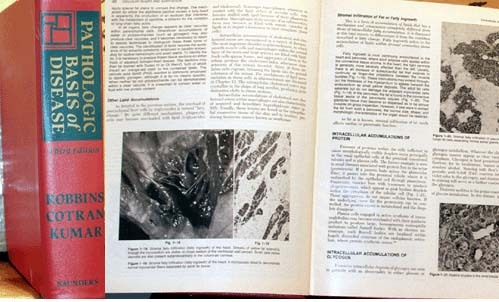 Robbins, Stanley L. Pathological Basis of Disease; third edition, illustrated with bibliographical references and index. W.B. Saunders, 1974; 1467 pp. Size: 8" x 10.5" x 2.25"